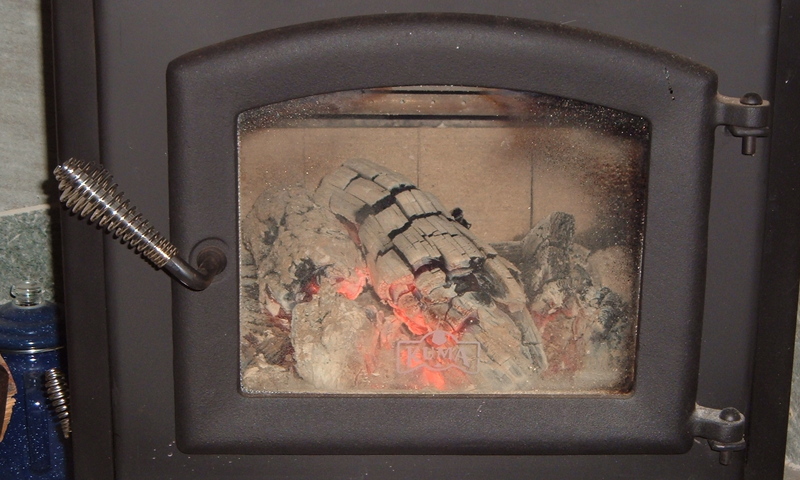 Growing up our first wood heating system in Washington State was a fireplace. After several very cold winters, Dad removed the fireplace and bought a wood stove. I never really understood what took Dad so long to finally give up his fireplace. Now after moving to the South and seeing that fireplaces are everywhere I think I finally understand it was a part of his heritage in Arkansas. For myself, I can understand the draw of a fireplace, you see the fire and get the benefit of some of the warmth. However, I have also owned regular wood stoves and I have also owned modern wood cook stoves. I enjoy the look and feel of a fireplace, but love the heat and efficiency of a quality wood stove. Old style fireplaces are only around 15 percent efficient. That means 85 percent of your heat goʼs up the chimney, wasted. The last stove, I owned was built by a Christian company called “Kuma” and it was 79 percent efficient, so that means only 21 percent was wasted. Could you live with throwing away 850 dollars or 210 dollars if your heating bill for the year was a thousand dollars? Is the older heating system worth the ambiance? 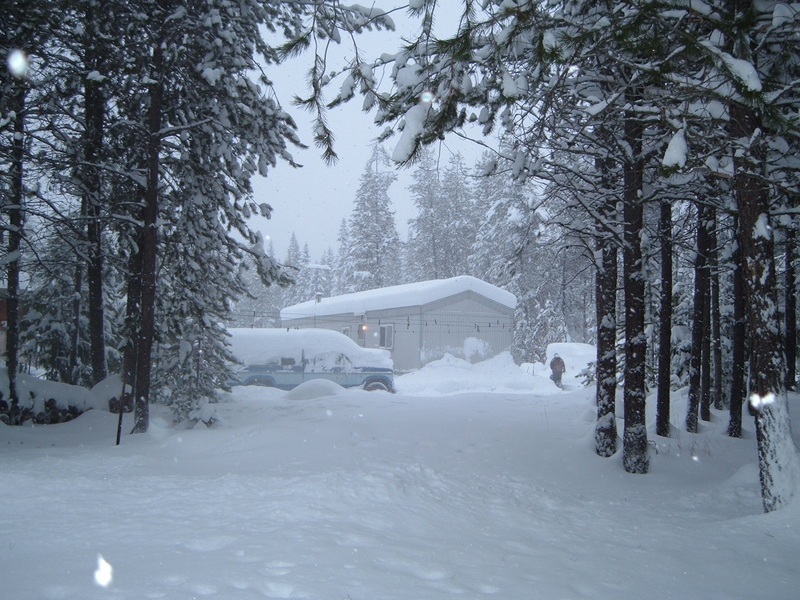 After we moved to the other side of the state, we had many cold winters with several feet of snow and negative 25 degree air. Due to the efficiency of our stove, my wife would be forced to open the doors and a few windows to cool the house off. The house often would be around 85 degrees and sometimes in the upper 90ʼs if we did not pay close attention to the stove. We found was very easy to produce intense heat with very little wood in a short amount of time. We the people of Christ love feel the warmth of the prophetic. Hear the crackling of it, as it touches the people. We often build it a nice place to heat the room, but never allow it to blossom into the true intensity that the prophecy can provide. During the days of the Exodus the Israelites were required to follow the pillar of cloud during the day and the pillar of fire by night. This was a basic lesson about picking up and moving that God is still teaching today. It is something that I am just as liable to mess up as much as the next Christian. This is because as I get older I often enjoy the “way things once were”. I can still remember many of the “signs and wonder” stuff from the 1980ʼs. Without realizing it, I often judge things I see today, according to how God moved in the 80ʼs. It’s wrong to do that, but if most people were honest with themselves, they would most likely admit to doing the same thing. I am now starting to realize that this is possibly a test of maturity and Love. As a new Christian in the early 80ʼs the prophetic movement that I was exposed too, helped to form my benchmark or standard of understanding. The problem is that anything God creates like the prophets, itʼs a living breathing reality. If itʼs alive, it will grow and change, that is one of the basic definitions of life. So I keep expecting what was and not what it has now become. In many places the prophetic has changed, it’s been maturing, growing becoming more efficient. The heat that it creates penetrates more to the soul of man. I once had a vision after becoming a Christian that I only partly understood. There were some glowing embers lying on the ground, refusing to die. As they produced heat the damp tangled brush pile around them would slowly heat up burning the closest parts that had dried. As this vision continued part of the brush pile caught fire and burned, some for short periods of time others burnt longer. In time it spread and the outer edges were always on fire at the center had long since turned to ash. As I see it now many prophetic movements burn for a time producing heat to start other fires. If you camp out where a past movement was, all you will do is watch it be reduced to ash. From a farmers point of view, the purpose of the prophets is to clear the land of weeds and thorns, opening up the land to grow food for people to eat. I have personally seen fires so hot that they have baked the plants so deep that they could not even sprout from the roots. The prophetic has become more efficient as people leave the land of clanging cymbals behind. The older fireplaces of the prophetic movement are now slowly being retrofitted, making way for the seeds of Love to grow in the soil of the cleared land. The ashes of that burnt wood now provide the basic nutrients for the soil, guaranteeing a stronger, healthier crop. One of the ways I believe God is doing this is through the process of mentoring. As the prophetic people of the past age mature, they became the voices of change for the next generation to line up with. As they do this it creates a Fellowship of older and younger to work the land together. This type of forging of older and younger will benefit from each other as the younger not only learns from the successes and failures of the older. But the older will have the joy of seeing many prophetic promises reach maturity in the younger. “And provide for those who grieve in Zion—to bestow on them a crown of beauty instead of ashes, the oil of joy instead of mourning, and a garment of praise instead of a spirit of despair. They will be called oaks of righteousness, a planting of the Lord for the display of his splendor.” Isaiah 61:3. The Lord directly connected the symbolism of Oak trees to righteousness. One of the reasons for this was possibly the reality that oak is known to be a very strong wood. 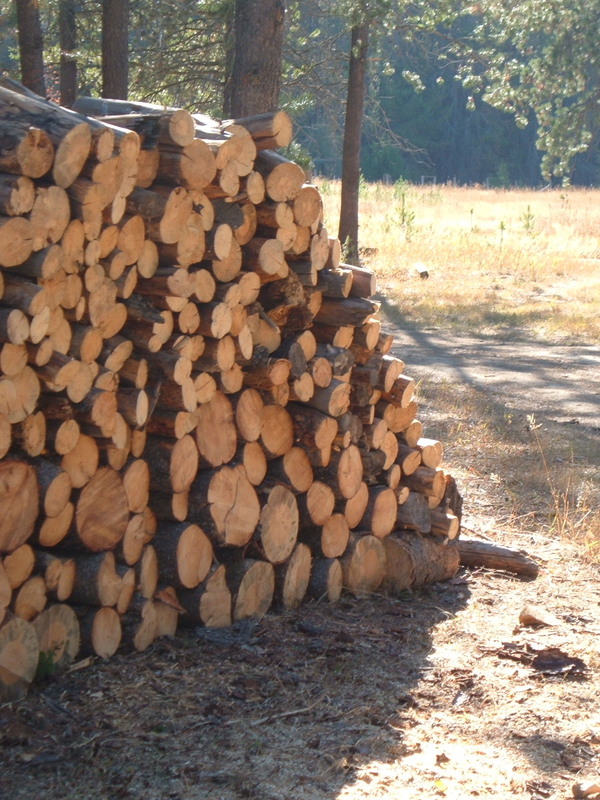 Oak as a firewood, once reduced to ashes by fire is rather interesting for use in the garden. The reason is that oak, as compared to other types of wood ash is extremely high in calcium. Remember the old milk commercials on TV promoting milk as being high in calcium, and “good for your bones”. If you have weak bones spiritually you cannot stand. From a symbolic point of view the righteous ashes of past prophetic people and movements provide the desperately needed calcium so that the next generation can stand. From a farmers point of view, this burnt calcium becomes “Quick lime” and it is one of quickest ways to get calcium to the roots of young plants to make them strong. The lack of this key mineral is often obvious in the leaves of plants as spots, color fading or even wrinkles. Prophetic movements need the calcium of Righteousness to improve the overall health of the ministry. Comparing another type of wood called pine. Pine as a prophetic symbol for me it is often a symbolic of “pining away” or a great longing or loss. I once had a really good conversation with some guys I knew as we traveled to Helena Montana for a prophetic roundtable. We began talking about the trees along the road. All of us had some level of experience in the forest. Once a forest was cut down, the pines were the first to grow. It was symbolic of the great loss that once was. They cover the forest like weeds in a garden. Then other trees like firs, cedar, maples and even oaks struggle to grow under this canopy of pining lass. In time, the few that make it grow taller, straighter, and begin shading out the pines. In time, the taller trees will push out the pins as they become strong. 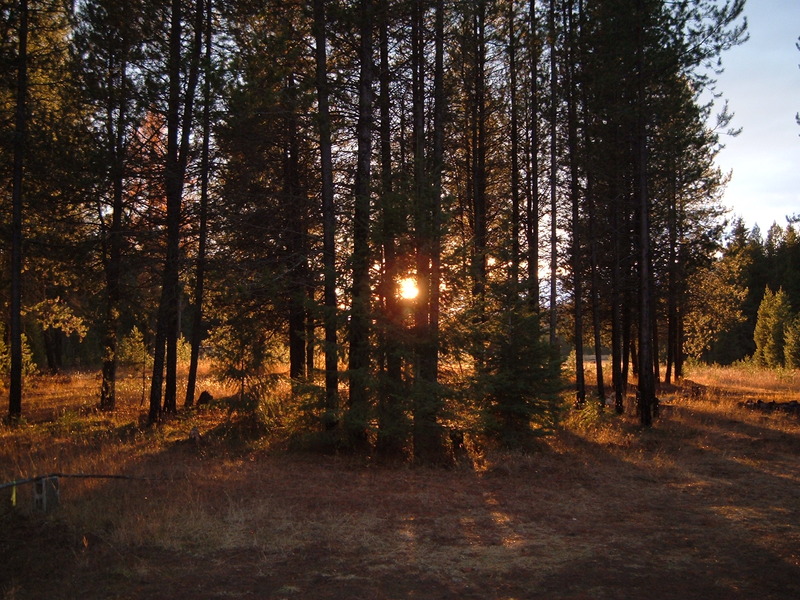 If the trees other than pine had been planted first, as in commercial planting operations. They may not have been as high of quality of wood as the tree that was forced to struggle. The prophetic movements of the past that was forced to struggle, produced fine wood. That stand of trees is now providing food and heat for the next generation. Pining for a movement that once existed is often a distraction that can discourage the new things of God from growing. However, God is building strength in the new oaks were growing under that shade. The young oaks are honoring the oaks of past movements learning to become strong. The vision I previously mentioned with the struggling embers had an element in the vision that hindered the progress of the fire. The element was the mist that was settling in, causing the brush to become wet. In the vision I knew the mist represented the influence of the world. Its good intentions, its desires conform, the desire to reach a middle ground. The embers only prevailed when it did not give up and a gentle wind came to help dry the wood out. It felt like in the vision that the brush that was closest, “allowed” themselves to enjoy the heat of the embers and become dried out. As we allow the prophetic to become part of us, to some degree I think we also allow the fire of God at home within us. Wood, hay and stubble (1 Cor 3:12-13) gets destroyed in the fire. The soil gets a little dryer as the heat of that fire warms its neighbors. I have felt some of this myself in my early years of being a Christian. After coming to Christ about six months later I attended one of the first Vineyard gatherings in Canada. The power of that experience changed me in many ways. The three of us who attended came back to a little Baptist church armed with fire and stories of what we had experienced. Within a year the attendance went from 80 to around 150 and within 3 years we were at three services and starting a building program. Several lives were changed, people healed and few people “just walked in” off the street because they knew they need to get saved. We burned, God provided the wind and then others started burning.